The upcoming topic on The Natural Health Show is probiotics, so I appropriately chose this as the subject for today’s blog. Once upon a time in the early 20th century in Russia lived a man by the name of Professor Metchnikoff (a nobel laureate by the way). He observed that certain human populations in the steppes of Russia had great longevity so he decided to observe what was different in their lifestyle. The only thing that was obvious is that these peoples consumed a lot of fermented milk products such as kefir and sour milk. He started to research the subject at the Pasteur Institute of Paris and concluded that what is responsible for the longevity factor in sour milk are certain beneficial bacteria that he called Probiotics. There are two main types. These are Lactic Acid Bacteria (commonly know as Lactobacillus) and Bifidobacteria. These bacteria break down lactic acid in the gut and make the environment more acidic. This lowering of pH does not allow “bad” bacteria to flourish. These “bad” bacteria break down protein from our diet and as a byproduct release toxic substances such as ammonia. It is now thought that these toxic substances are not only bad for gut health (contributing to conditions such as Inflammatory Bowel Disease and Irritable Bowel Syndrome) but may also be absorbed into the blood stream and be deleterious to all organs in our body. They cause inflammation, cell damage, and free radical formation. And what do we know from modern western medicine? We know for a fact that these inflammatory processes damage cells and thus accelerate the aging process as well as cause mutations to the DNA of cells, increasing the risk of cancer formation. The good bacteria are also responsible for the production of certain vitamins, the most important among them being vitamin K. This vitamin is crucial in the normal coagulation of blood. Thus, when the good bacteria are killed off (for example by prolonged anti-biotic intake) the level of Vitamin K in our body drops. This can lead to excessively prolonged bleeding time when the body is exposed to trauma. Such trauma can manifest as easy bruising, bleeding into joints, blood in stool, as well as prolonged and sometimes dangerous menstrual bleeding. 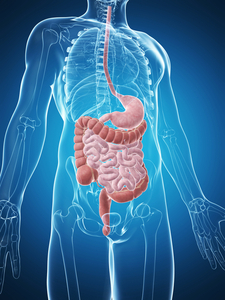 Thus it is crucial to keep the population of good bacteria in the bowel at an optimal level. This can be achieved by either drinking lots of fermented milk products or by supplementing with probiotics. So my message for today is this: Probiotics protect our bodies by limiting inflammation, cell damage and free radical formation. In short, they slow down the aging process and support a prolonged healthy life. Our Russian scientist was right. Probiotics are pro-life. Categories: Digestive Health, Gluten-Free | Tags: enzymes, prebiotics, probiotics | Permalink.